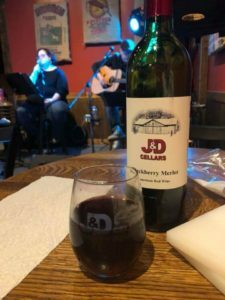 Thank you so much for your interest in performing at J&D Cellars Winery! We absolutely love supporting local musicians, performers, and artists! As a heads up, we do not permit drum kits of any kind at either of our locations, but other percussion instruments are fine. We also ask all musicians to keep in mind that we have close neighbors at our 84 location and condos directly above our Meadows location, so we will be asking that you stay within a specific decibel range during your performance. Please fill out the form below and one of our staff members will contact you when/if we are booking. We no longer accept submissions over the phone or via FaceBook or any other means. Filling out this form is considered your formal submission.